April in the Midwest can be rainy or very nice, just depends on the day. 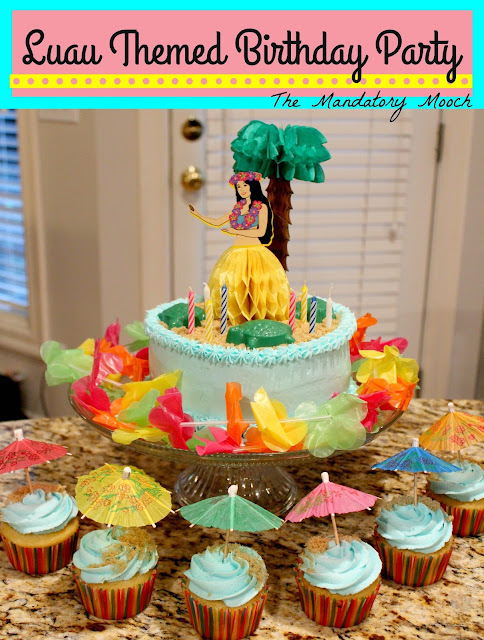 We had planned on having an outdoor birthday party for my daughter. However, the weather had a different idea. It rained the ENTIRE day!! So, what did we do? we brought the party indoors. 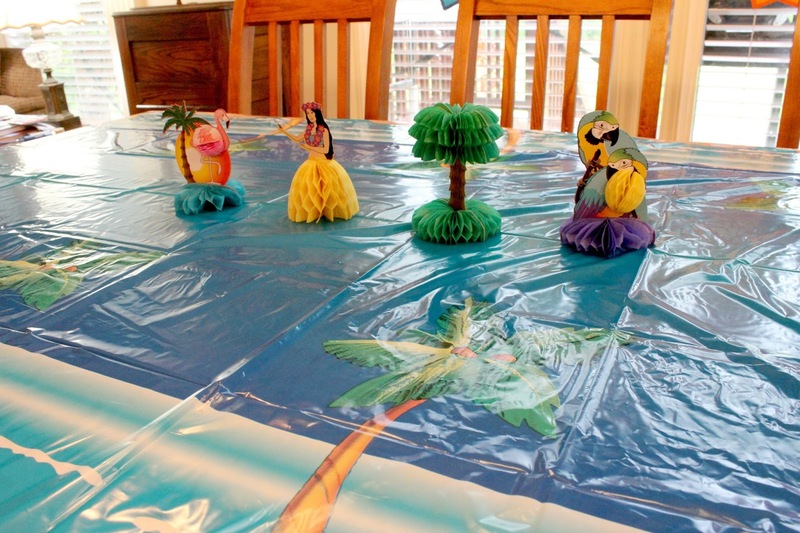 Check out all of the fun items to throw your own tropical party!! Colorful leis were hung on the banister for guests to wear as they arrived. 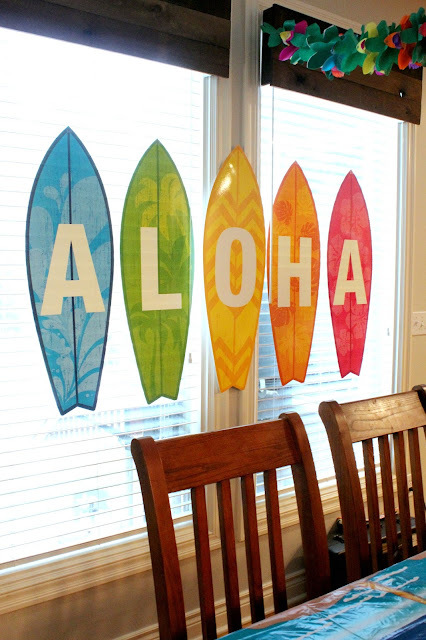 ALOHA surfboards were a great colorful addition to our windows. A beachy tablecloth and centerpieces covered the table. 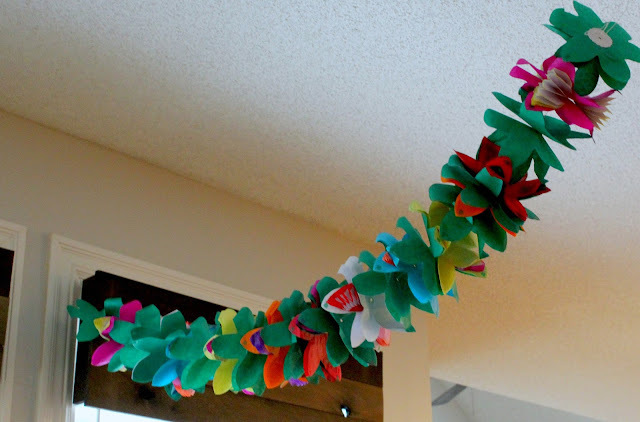 A tropical garland was hung above the table. 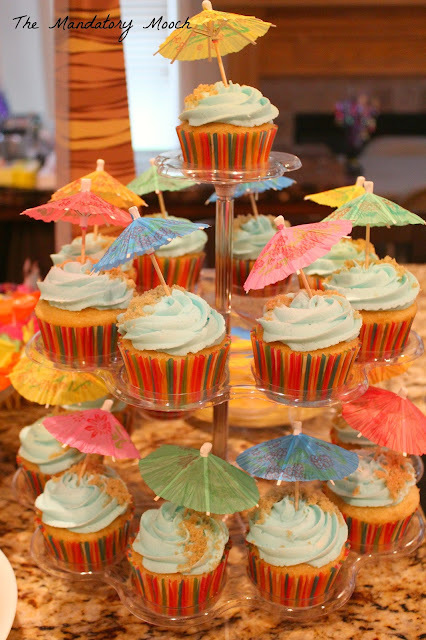 Beach themed cupcakes were made with cocktail parasols and brown sugar for a sand effect. 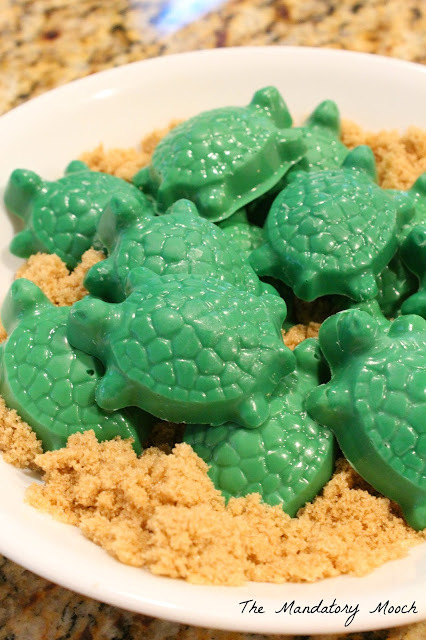 Candy turtles were made from candy melts and a turtle candy mold. Added them to a bowl of brown sugar to look like sand. 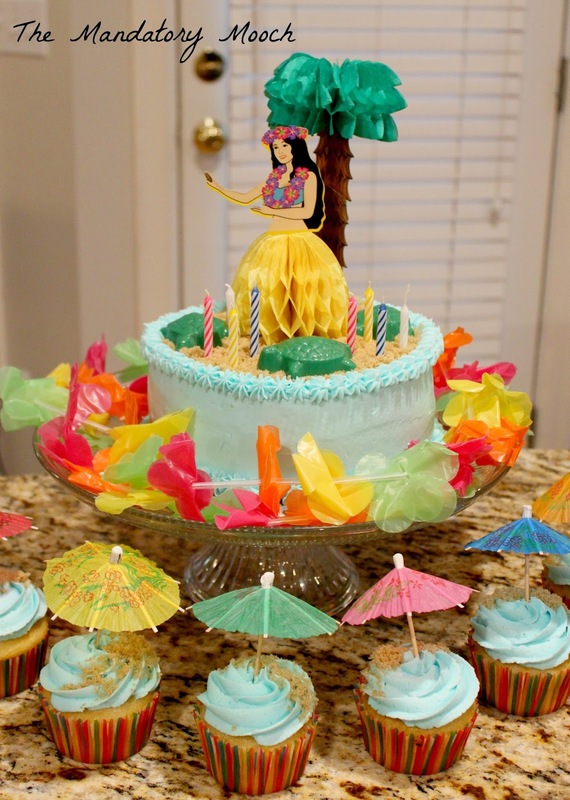 The cake was decorated with centerpieces, turtles, and more brown sugar. Who says you can't have a fun party in the rain?!?!?! 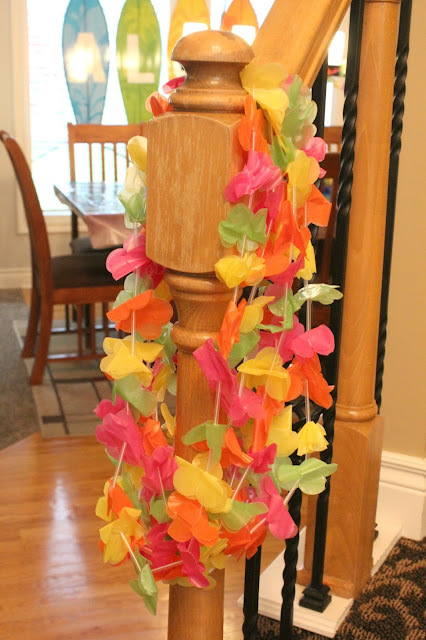 If you are looking for more great ideas and supplies go to Oriental Trading. Cool party! A luau is always a great classic theme.